Any progress will have to wait until after elections, due February. The political unrest in Thailand is exacting a toll on attempts to kick-start peace talks in the country’s troubled south, with all sides agreeing there was little to discuss until elections are held, probably in the first week of February. Those talks were to include Malaysia, despite some misgivings in Bangkok, amid hopes that country’s Islamic credentials would appeal to a loose-knit band of rebels operating under the Barisan Revolusi Nasional-Coordinate (BRN-C) which launched its insurgency in early 2004 and has since claimed more than 5,700 lives. Another four men were killed last week, shot dead by suspected militants in the south. They were travelling in a pick-up truck late Tuesday when they were ambushed by gunmen in the Nongchik district of Pattani province. A fifth man is missing while two others were wounded. Talks were slated for early December but were postponed as protesters demonstrating against the government of Yingluck Shinawatra again took to the streets demanding her resignation. 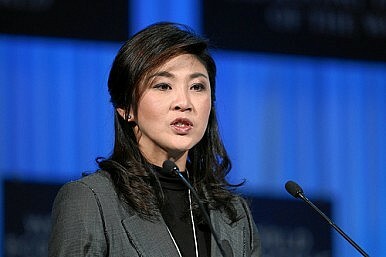 Yingluck countered by dissolving Parliament and calling early elections. However, the February 2 election date could be postponed with opposition parties threatening to boycott the poll. According to an agreement struck between Malaysia and Thailand, the national security chiefs of both countries were to tackle the issue together in the hope of identifying exactly who the insurgents are, finding out what they want and then holding talks to end the strife. While the BRN-C, which has roots that stretch back to the 1960s, remains the most prominent umbrella group, there is also the Patani United Liberation Organization (PULO). It has also figured heavily among the handful of groups linked to the fighting in southern Thailand and has warned the violence would continue. PULO was reportedly founded by an Islamic Malay scholar in 1968 and currently targets people it views as collaborators with the Thai government. That includes police, teachers and civil servants, who are often targeted in drive-by shootings and roadside bombings. Both groups helped shatter a ceasefire in August, which threw the entire negotiating process into doubt and had limited expectations that the next round of talks would illicit any success. Further talks were postponed in October. However, rarely have any of the BRN-C grievances been aired. That includes the suppression of their religious, ethnic and linguistic practices by a government that had behaved in an overtly hostile manner towards Thai Muslims, particularly under Yingluck’s brother, the former Prime Minister Thaksin Shinawatra.